What’s a vacation without experiencing the best foods the island has to offer? When in Bali, it would be a travesty not to experience its glorious food offering. A famous tourist destination, Bali is not only recognized for its sandy beaches and azure waters, but, also for its exotic gourmet treats. Bali is mostly a Muslim Indonesian archipelago, and pork dishes are not so popular. 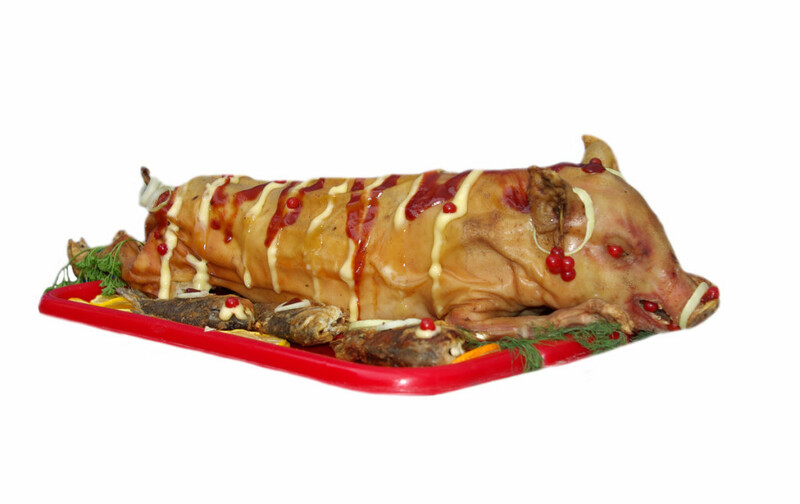 But, babi guling or roasted young pig, is not only a must-try, it’s a food to die for. Westerners love the dish of a young, tender-meat pig, roasted to utter perfection by rotating under slow, intense heat from coconut husks. A babi guling typically weighs about 150 pounds, more or less. It’s the Balinese’s version of the world-famous “lechon baboy” from the Philippines, with a yellowish twist. Before roasting, the entire pig is usually rubbed with turmeric, or the equivalent, and sometimes dipped in fresh coconut water. This makes the skin crispier. The “base gede”, or a paste made of selected spice is stuffed on the inside. The stuffing is mostly a combination of lemongrass, Asian lime leaves, ginger, shallots, black pepper, salt with the optional kencur and coriander leaves. Sate limbat is barbecue to a whole new level. It’s usually meat seasoned with a breakdown component of the “base gede”, with one to two additional ingredients thrown in the mix. 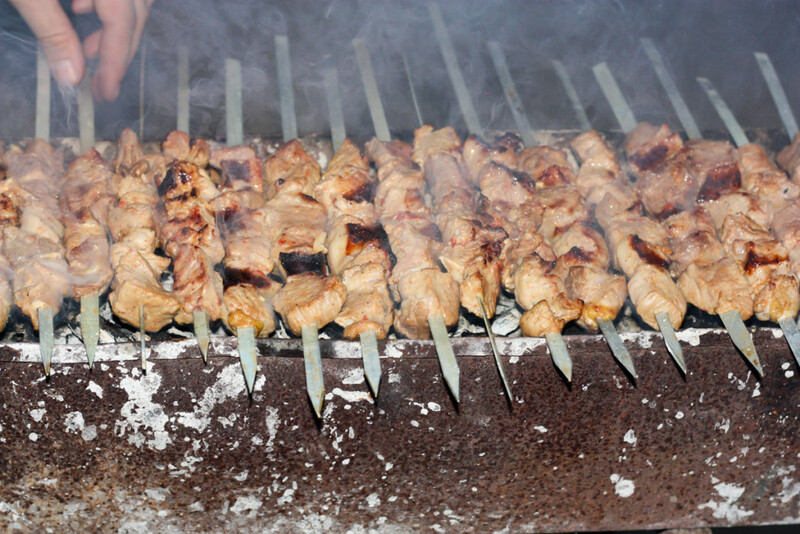 Sate limbat is an exotic, savory, and full-bodied take on roasted meat-on-a-stick. This Bali satay is world renowned because of its rather “fresh” shrimp paste taste, unlike the peanut-based sauce that’s more popular in the whole country. Sate limbat is basically a street-food, but, you can find it in any restaurant down to the sidewalks. Whenever you can, try the sate lilit ikan from a restaurant that serves the satay in lemongrass skewers. This clever version of the dish escalates the aromatic flavors to high-end perfection; best as snacks or as an appetizer before or after dinner. Lawar may look like an innocent crunchy mix of shredded vegetables at first, but, in a more traditional serving. It’s usually topped with a circular dried blood. Legend has it that every village in the island have a version of the dish. The dish typically consists of coconut meat, minced meat, dark leafy vegetables with a vinaigrette of spices. It’s an Eastern salad to boot, with the right tangy crisp and crunch. Lawar is popular as a side dish to babi guling, yet, can stand on its own as evidenced by a variation that heavily features a young jackfruit. Westerners commonly have an aversion with the blood, but it actually makes the dish more rounded. With added texture, flavor and the internal organs, lawar may well be the most exotic dish you’ll ever have. With it’s popularity, it has spawned itself not just a food to try but, one of the things to do and see in Bali.